TacFire IS003: TacFire's AR 45 degree flip-ip iron sights features a front with an adjustable A2 post which is spring loaded making it easy to flip-up into position and locking into place. 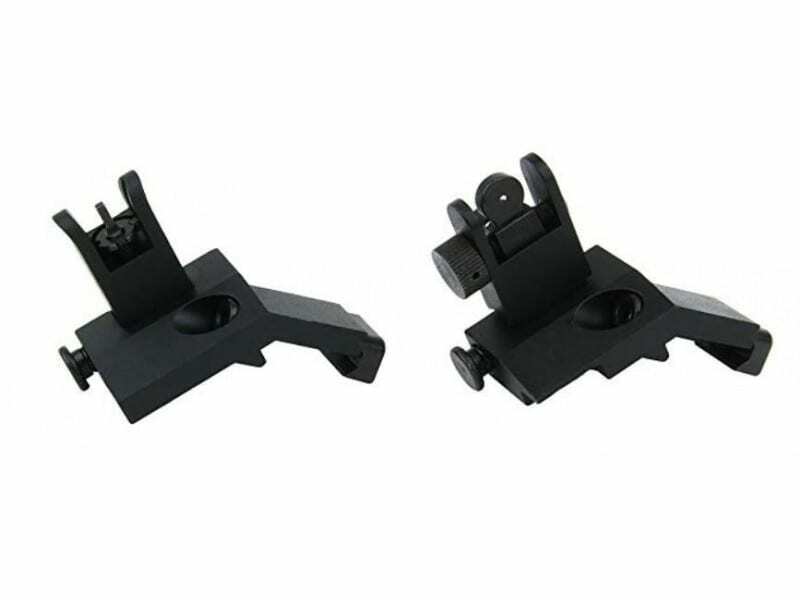 Its rear sight has dual apertures for use in short and long distance shooting. The sights are constructed of 6061-T6 aluminum with a black anodized finish.